Do you love theme parks? Want to build one? 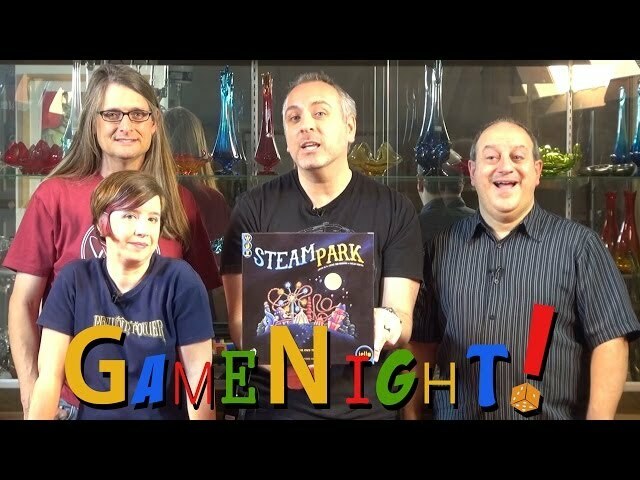 Buy Steam Park! In Steam Park you are in charge of a theme park for robots. Build kiosks, bathrooms, but most importantly – rides! 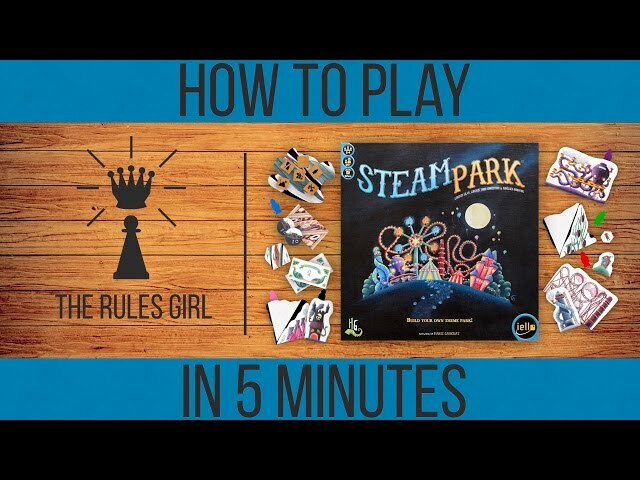 Steam Park is a board game of real time dice rolling, tableau building, and theme park building. Make sure your park doesn't get too dirty, fill up your rides, and see who can make the most money! Steam Park is a fast playing thrill ride that will have you up to speed on the theme park business is less time than it takes to fly down the first hill.